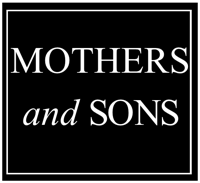 Mothers and Sons- (Drama) At turns funny and powerful, MOTHERS AND SONS portrays a woman who pays an unexpected visit to the New York apartment of her late son’s partner, who is now married to another man and has a young son. Challenged to face how society has changed around her, generations collide as she revisits the past and begins to see the life her son might have led. “Eloquent, exceptionally timely and intensely resonant. A moving reflection on a changed America.” — Chicago Tribune.